Many of Jharkhand's immigrant women labourers are lured by touts into becoming domestic workers in cities and are often reduced to bonded labourers. KHUNTI: Her eyes sunk deep in their sockets, Suggi Mundain stares blankly at the wall of her bare-bones hut, her vacant gaze speaking of a once happy family torn apart by grinding poverty, and telling a societal tale of migration and exploitation. 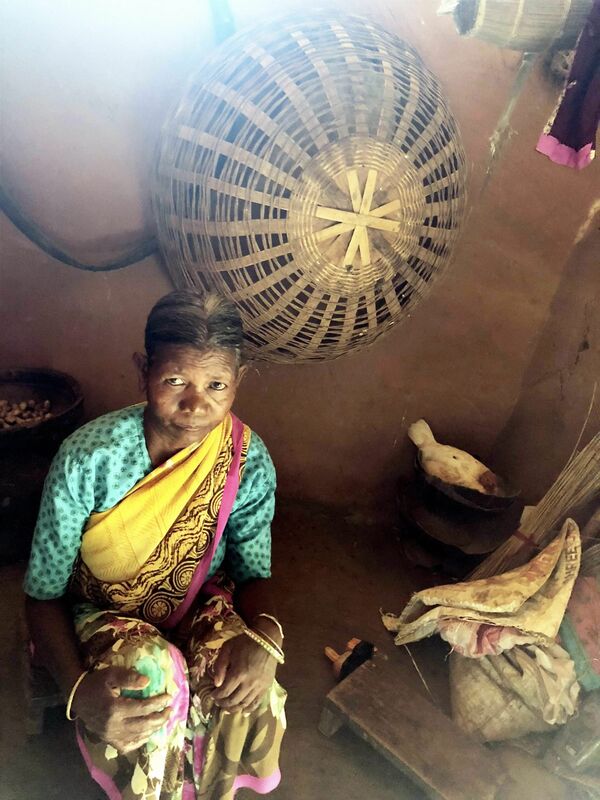 The 60-year-old, her face wrinkled beyond her years, sits despairing and devoid of hope in her home in the village of Jabra in Jharkhand's Khunti district, 50 km from state capital Ranchi, and a world away from its promise of development and progress. With multiple deaths, a daughter who is missing and another who has just returned after 12 years, Suggi's is a story that finds wide echo across the state, home to one of the poorest populations of the country. According to the state's Labour Department, the number of immigrant women labourers from Jharkhand in 2017 was 10,879. However, NGOs working in the state say this could be much higher as there are no proper records. Many of these women are lured by touts into becoming domestic workers in cities, a sector where there is little or no accountability and they are often reduced to bonded labourers. Jharkhand is a source state for trafficking. The government is working on these issues but still there's a lot to do as girls are moving outside and getting trapped due to the unavailability of livelihood, opportunities and poverty," Action against Trafficking and Sexual Exploitation of Children (ATSEC) State Coordinator Sanjay Mishra told PTI. He said girls are trafficked for the purpose of forced labour and commercial sexual exploitation. 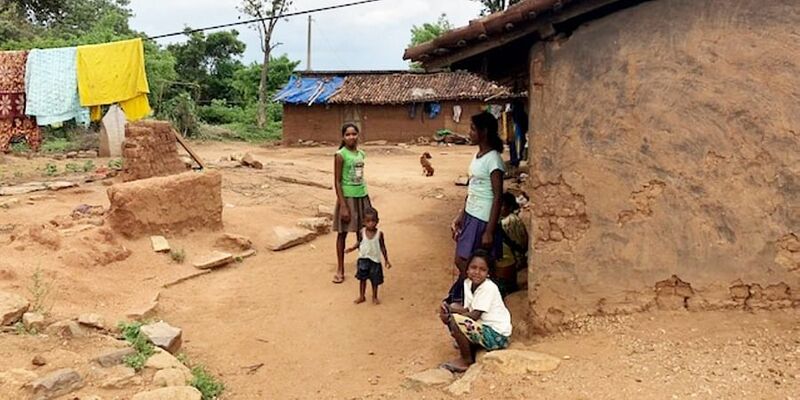 In Khunti alone, there are 4,691 migrant labourers, of which 1,128 are women, according to official data. One of them is Suggi's eldest daughter Saniyaro Dhan, who has been missing for 15 years. A tout from nearby Ghorpenda village had lured the family to send Saniyaro to Delhi promising employment. And that was the last the family heard of her. Suggi's son Mangal Munda was lured to Assam in 2000 by touts, again with the promise of a job. The family never saw him again. Two years ago, news came of his death. But the family had no money and could not go to Assam to perform his last rites or bring his body back. Another daughter Lali Dhan died of sickness and poverty as did Suggi's husband Ono Munda. 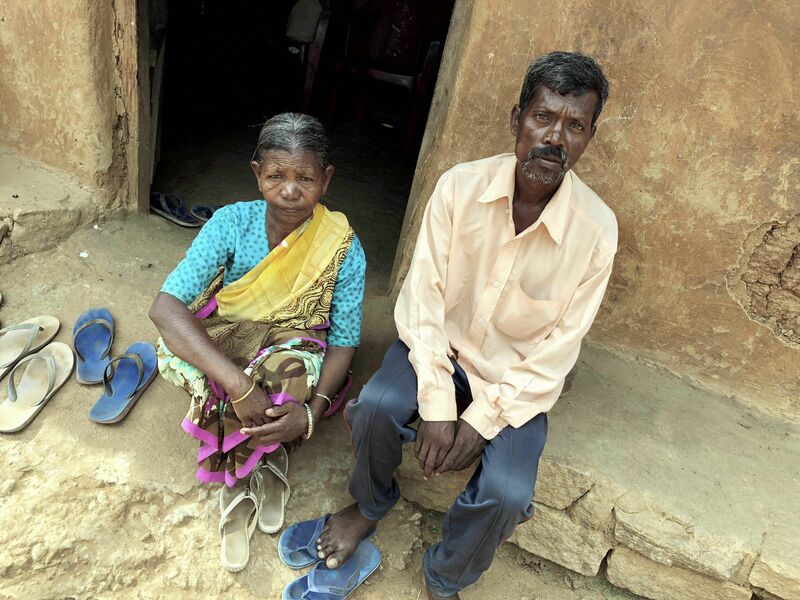 Two children survive -- daughter Manhi Munda, now 18, who has returned home after 12 years of working with a family in Kanpur and getting no money for it, and son Mangal Munda who ekes out a bare existence as a farmhand and has four children of his own. "To search for my eldest daughter Saniyaro, I travelled all the way to Delhi two years ago but returned with no hope, realising the futility of the exercise. We could catch hold of the tout but my daughter was not found on his register," Suggi told PTI. "Having lost one son and one daughter, I somehow caught hold of a tout from nearby Ghorpenda village, who on persistent coaxing agreed to bring Manhi back from the clutches of a Sikh family in Kanpur," she said. Manhi, only six when she was sent to Kanpur, recounts her days her years in domestic servitude. Asked, how much she earned during the 12 years she served the family, Manhi said, "They used to give me food in return of the entire household work that included cooking, cleaning the house and other chores." She doesn't even know the address. "I was seldom taken out of the house. I don't know the address. They used to call me Mary (perhaps the name given by the tout)." All she has is a phone number. She dials the number, a man picks up and, when asked about her payment for working for 12 years, says, "We have calculated. It comes to Rs 16,000. Send your account. We will deposit the money." When Manhi dials again, a woman picks up. Manhi recognises her as the wife of the employer. The woman starts abusing her, accusing her of eloping with a boy and insisting that Mansi worked for her for seven years, not 12. The narrative is repeated in village after village. Jabra, Karra, Jurdag ,Larta, Dodma, Kudlum, the list is long, the characters different and the story same. The villages lack the most basic amenities, including roads and drinking water, defying the tall claims of development, prosperity and welfare schemes promised by the government. 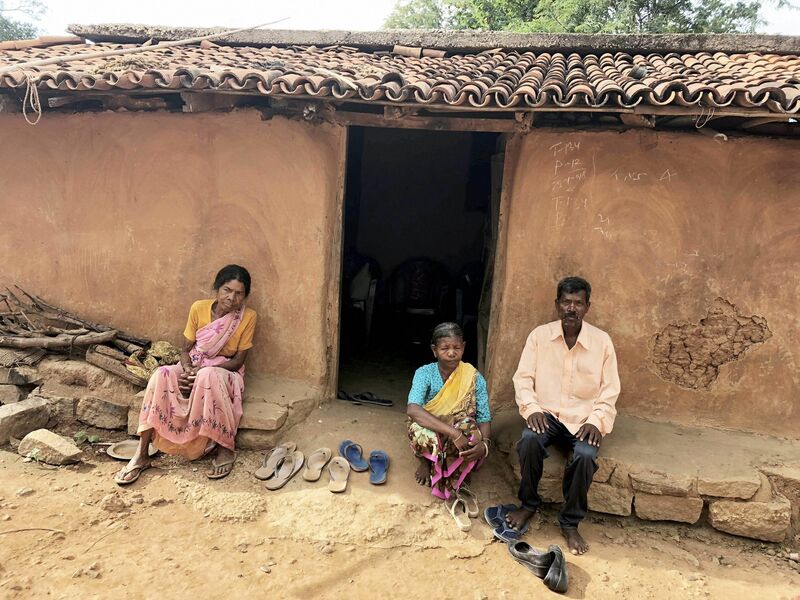 In Karra village, which has a little over 100 huts, Harun Munda said his sister Angela Dhan went to Odisha three years and has not returned. His neighbour Niranjan Dhan said girls from the village are lured by touts in groups to Delhi, Uttar Pradesh and Odisha. "Some come back and some don't," he said in a matter of fact tone. A questionnaire on the plight of migrants from the state and government action sent to Jharkhand Chief Minister Raghubar Das remained unanswered for more than two weeks. Former chief minister Arjun Munda admitted the gravity of the situation. "This is a grave situation of human rights violation in Jharkhand and it is time for Delhi to also wake up to the issue. The government should not become a mere witness to the exploitation of low cost labour power," he told PTI. "There is need to create a mechanism to keep a record of people migrating by linking it through Aadhaar card," he suggested. Jharkhand Chief Secretary Sudhir Tripathi said the government has adopted standard operating procedures (SOP) to bring back immigrant labourers. "A toll free number -- 18003456526 -- is operational in the state to complain and steps are being taken by the district administration to bring them back," he said. It's one of the best stories on human trafficking issue linking Jharkhand with no end to it in sight. State governments have done little or nothing to arrest this problem so far. NGOs' roles are also too suspicious to bank upon in the redressal of those helpless tribal women and girls.